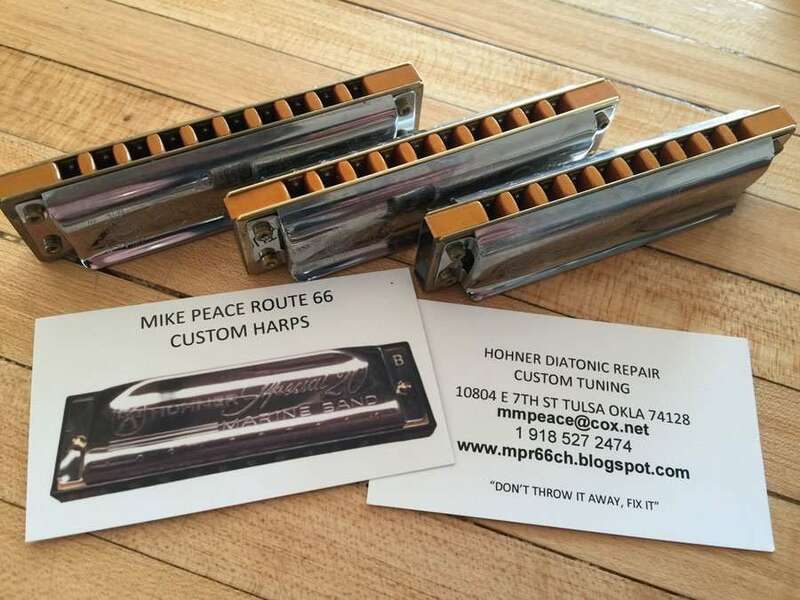 Thanks much to Mike Peace of Route 66 Custom Harps. He repaired a half dozen malfunctioning Crossover and Special 20 harmonicas for me, and replaced some combs as well. Excellent work and quick turnaround. Nice guy too.